Going into surgery is a frightening enough prospect, but when you emerge from it and find out that the doctor operated on the wrong side of your body, or they performed a procedure on you that was supposed to have been done on another patient, it can turn your fear to anger. The experienced legal team of Fort Lauderdale medical malpractice lawyers at the Yeboah Law Group is here to make sure that you recover compensation for your injuries when you have been hurt because of medical malpractice. We are strong advocates who will fight on your behalf to protect your rights and make sure that those responsible for your injuries are held accountable. Wrong site surgery involves a surgeon operating on the wrong side of a patient’s body, performing the wrong procedure, or operating on the wrong patient. Also called, WSPEs, (wrong site, wrong patient, wrong procedure errors), wrong site surgery is relatively rare, yet these events occur far too often. WSPEs are also called, “never events,” a phrase coined by Ken Kizer, MD, former CEO of the National Quality Forum (NQF), and “sentinel events,” 71% of which had fatal consequences according to the Joint Commission. A sentinel event is “an unexpected occurrence involving death or serious physiological or psychological injury, or the risk thereof.” The Joint Commission estimates that wrong site surgery or never events occur about 40 times each week in U.S. hospitals. Lack of communication on the surgical team both within the operating room and in the events leading up to surgery are largely responsible for wrong site surgery mistakes. The Joint Commission, which is an independent organization that accredits and certifies hospitals and other health care organizations in the United States, developed the Universal Protocol in 2004 to help hospitals improve safety. The Universal protocol comprises preoperative checks on the patient, marking the site of the surgery, and the entire medical team taking a “time out,” before the surgical procedure begins. The World Health Organization (WHO) also developed the “Safe Surgery” checklist. Incredibly, despite more than a decade of focusing on patient safety, following the Universal protocol and safety checklist, and marking the surgical site, the Joint Commission reported an increase in the number of wrong site surgeries in the years following the rollout of the Universal protocol. Given that inadequate communication between the members of the surgical team is largely responsible for these wrong site surgery mishaps, the time-out was supposed to solve that challenge, but it has not because compliance with following the safety checklists has not been sufficient. A study on the effectiveness of patient safety checklists was anywhere from 53% to 62% of cases. A surgeon in Halifax, Florida at Halifax Hospital Medical Center, operated on the wrong leg of a patient. An Orlando doctor placed a mechanical implant in the wrong heart valve of an 11-year-old Orlando boy, who died five weeks later. When your surgeon makes a mistake as huge as operating on the wrong site, performing the wrong procedure, or performing the procedure on the wrong patient, this can have huge ramifications. 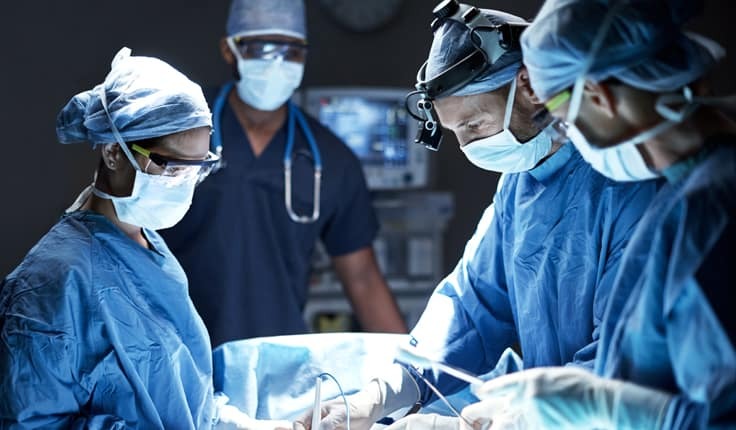 The person who was operated on will be required to undergo the risk of yet another surgery, which will require more recovery time, more lost time at work, and the consequences of having delayed the correct surgery. At the Yeboah Law Group, we are here to protect your rights and make sure that you recover the maximum amount of compensation when you have suffered the serious injury of wrong site surgery.  We can recover compensation for your medical bills, lost time at work, your pain and suffering and other expenses related to the erroneous surgery. Our Fort Lauderdale medical malpractice attorneys understand the complexities of working with medical experts to investigate medical malpractice. We know how to determine who is at fault and hold them accountable for your needless suffering, pain and inconvenience of additional surgeries. Wrong site surgery is what the medical profession refers to as a “never event” because it is never supposed to happen. When it does, you must deal with the recovery from the surgery that was done in error and then you must undergo the proper procedure. All the time, the pain, the medical bills, the lost time at work begins to add up and cause frustration. 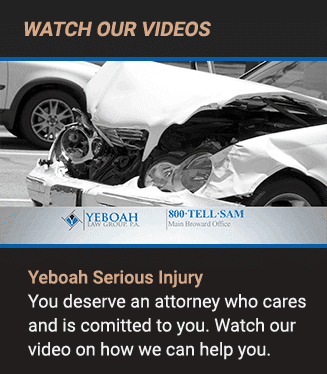 At the Yeboah Law Group, we are here to fight for your right to recover compensation for your injuries and other losses. You may call Yeboah Law Group now at 1-800-TELL-SAM or complete our contact form for a free consultation.